If parents really want to make a difference in their children’s education, they have the power to do so. Parents can truly be the biggest change agent at their schools. They can bring about change quicker than teachers and administrators combined. How do I know this? I have seen parents use their power to change their children’s experiences. Our entire school district was not allowed to show President Obama’s address to students about education three years ago because a number of parents said they would keep their children home if schools forced their children to watch it in class. Even though there were just as many students, if not more, who wanted to watch his speech, we could only offer it as an option after school. In another case of parental power, a mother called the media to report a case of bullying against her daughter. The media showed up at school instantly to report on the case. When it was discovered that the girl was only experiencing retaliation for being a bully herself, the case was dropped; however, the entire school had to participate in a bullying prevention program because of the accusations. As is evident, parents can change the climate and culture of schools. Unfortunately, this parental power can also be an abuse of power, in some cases, protecting their children from consequences those children deserve. If parents could channel this passion into helpful, proactive actions, they could encourage positive changes at their children’s schools and possibly at the district and state level as well. I hope to encourage parents to become vocal advocates for their children for the right reasons, not the ridiculous ones. As a teacher and parent I have a lot invested in education. Teaching is the profession I love; I can’t imagine doing anything else. I also want my children to get the best education possible. My daughters are on their own now, doing what they love, without going to college. I gave them the freedom to make their choices about college. They were both tired of the constant testing and arbitrary demands school made on them, so they opted out of formal, higher education; I supported that decision. If they want to go to college later, I will support that decision as well. What’s more important to me is that my daughters continue to learn and expand their minds in areas they are passionate about. Even though they both had positive and negative experiences with public education, I tried to be the constant example in their lives, promoting the love of learning and helping them discover their passions. Because they had that foundation with me, they have become healthy productive members of society. Above all else, contributing positively to society is the desired result of raising my children. I still have one child in school. My son is in second grade, so it’s still too early to know what he will become as an adult, but I’m confident he will also be a competent citizen, doing what he loves. I believe this because everything I teach my son has to do with developing his character, confidence, and love for learning. I will not rely solely on his teachers for those things. It’s exactly what I did with my daughters; that’s my job as a parent. Parents may wonder, then, what I expect of my son’s teachers? First, I expect his teachers to be life-long learners and passionate about their chosen profession. Then, with that love for learning and passion for teaching, I expect them to introduce and facilitate the important skills he will need in life: He must be able to read and write; he will need to add, subtract, multiply, and divide; he needs to understand science concepts and our country’s and world’s history. He should be able to find everything on a map and appreciate the beauty of our world. I expect his teachers to challenge him, develop his problem-solving skills, and believe in his abilities, so he can believe in himself. I also expect his teachers to tell me what I can do to help my son become successful. I know my son’s education has three core components: his teachers, my son, and me. It will be my job to help him study and practice these skills. I will need to create an environment that will facilitate that atmosphere. There are natural consequences set in place if he chooses not to do his homework, like not being able to participate in Karate or other things he loves if he doesn’t complete his number-one priority, school work. I sit with him and enjoy his lessons so he can see that learning is important and valued in our family. What better way is there to promote a love of learning than for me to place importance on my son’s education? If we have all done our part, then my son will have mastered all the necessary skills to move out of elementary school and move on to his secondary education. At that point he may be an independent learner, needing very little help from me; however, I will still enjoy his lessons and look over his homework to make sure he is completing it, understanding it, and being appropriately challenged. Sadly, as a teacher, I know that this isn’t the case for all students. Students are leaving elementary schools without learning all the necessary skills necessary to be successful at the next level. They have very little support at home and have lost the joy associated with improving their minds. What are parents doing that might contribute to this educational gap? 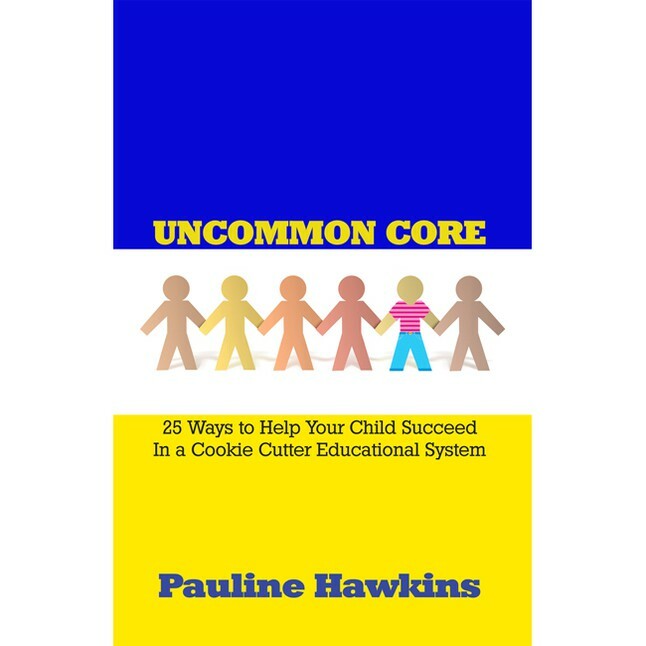 Look for my next post on the three mistakes parents make with their children’s education. This entry was posted in Advice For Parents, Education Reformation and tagged Children, Daughters, Education Reformation, Family, Parents, Students, Teaching. Bookmark the permalink. My daughter is in Year 2 and sadly has a teacher who isn’t any of the things you describe. I find it desperately sad and extremely frustrating as I know what potential is being missed in that classroom. Sometimes as a parent I don’t feel very empowered at all. Having been up to the school several times, spoken with teacher’s and the head, I have made no impact at all. Someone suggested I be a parent governor but I’m not sure I have the patience required to engineer change within the school. I understand how frustrating that is. If you have other parents who feel the same way, there is strength in numbers. I have a few more posts on this topic that may help, but please keep me updated on the stiuation and the things you’ve tried. I may be able to help with some suggestions, if you’re interested. This post resonated with me. Every child is different and, if that child is to be successful, I totally agree there must be a collaborative effort among teacher, parents and student. Sadly, I hear quite a bit of us-vs-them talk in our elementary school hallway (on both the part of the parents and the teachers), and this isn’t helpful; would be much better to come together with a solution-oriented approach. I should print this out and leave a few copies in the hallway lol! Thanks for sharing.